!! NOT YET RELEASED !! 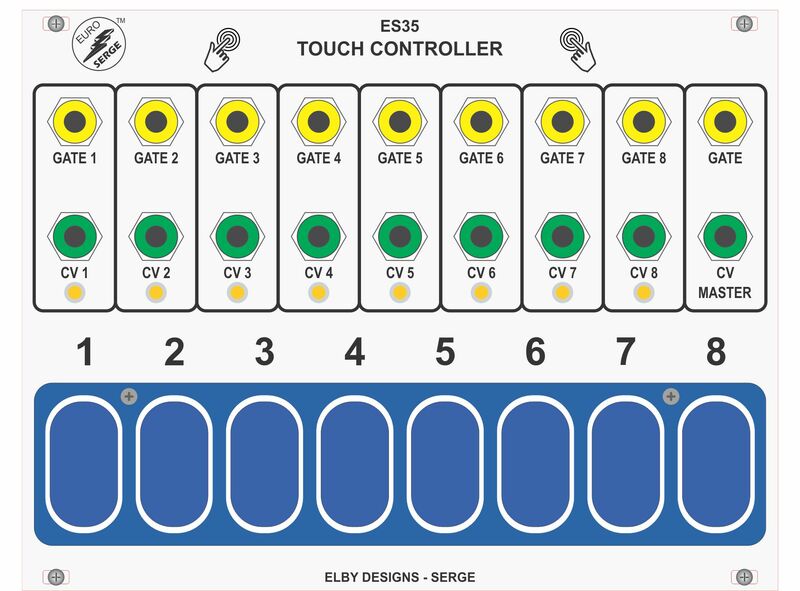 The ES35 combines the ES34 Synapticon and ES25 Touch Keyboard in to a single integrated module which can then be mounted directly under a group of modules that it is to control. In addition to the 8 individual 'pad' outputs, there is also a 'common' output for both the CV and the GATE. The CV output will output the highest voltage of all active pads. Note that the ES35 can only provide GATE signals and CV voltages responding to pressure being applied to the touch pads. There are no musically pitched voltages generated.